Peri-Peri is an old world spice also known as African Bird’s Eye Chili discovered by the Portugeuese. 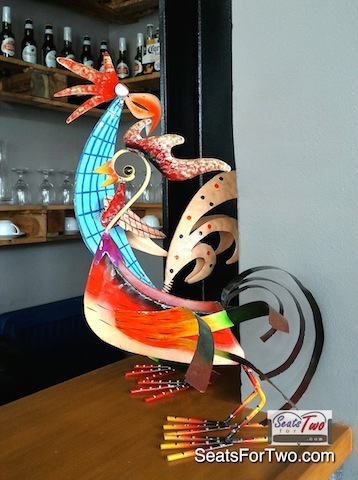 Fast forward to today, Peri-Peri is a Filipino restaurant known for its Peri-Peri Charcoal Chicken made interesting with this spicy chill flavour. 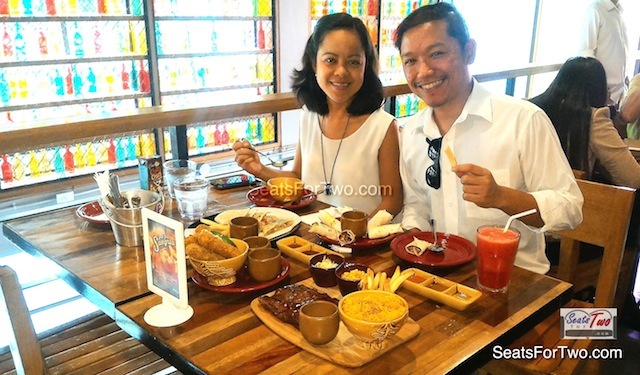 Having made it’s mark since 2005 when they opened in Promenade Greenhills, Peri-Peri restaurant recently updated it’s interiors to reinvigorate its ambience for their loyal customers and attract new ones. Upon their invitation, we recently had a sumptuous lunch at it’s new stand-alone, 2- level flagship branch at Peri-Peri Capitol Commons. It’s iconic red drums and coloured bottles adorn one whole side of the second floor which can accommodate up to 60 guests while a large bar and clear windows on the first floor allows natural light during daytime and enjoy the natural landscape of Capitol Commons at night. Add to that some wall graffiti for an added South African vibe. They also introduced new items in the menu including an after-dinner menu and cocktails for those looking to linger a little longer in the evening. And now for the filling lunch we had. 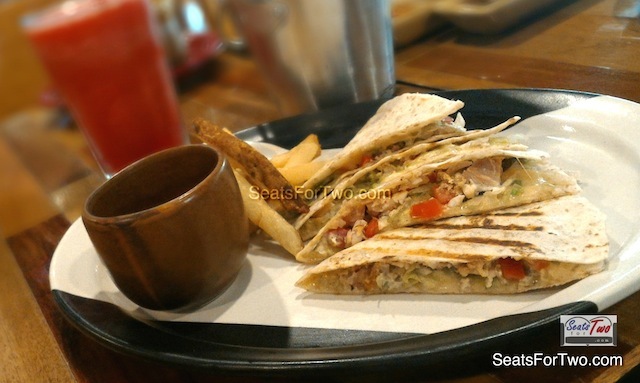 For starters, we had the Grilled Chicken Quesadillas (P195/P360 single/share) and a Chicken Soup (soup of the day) which is available as “soup all you can” for only P69 if enjoyed with a Peri-Peri meal with minimum purchase of P250. 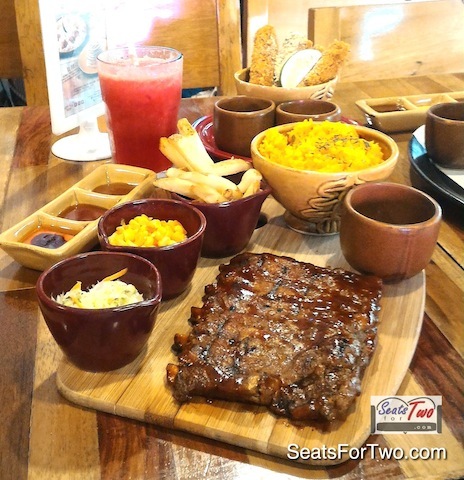 For the main plates, we ordered the Peri-Peri BBQ Back Ribs (P730/P1200 half/whole) to share which looks really appetising in the photo. 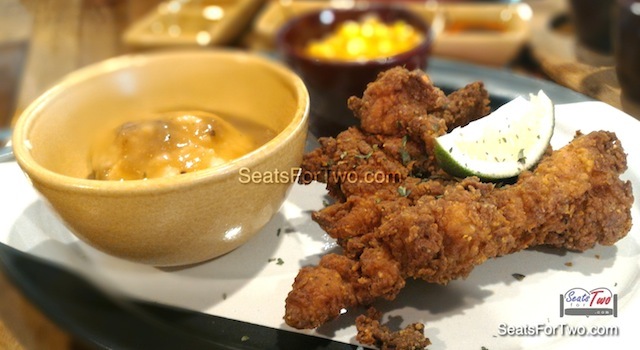 For the main plates, we had the Numero Uno Fried Chicken (1pc/P245) and ‘Palmas’. 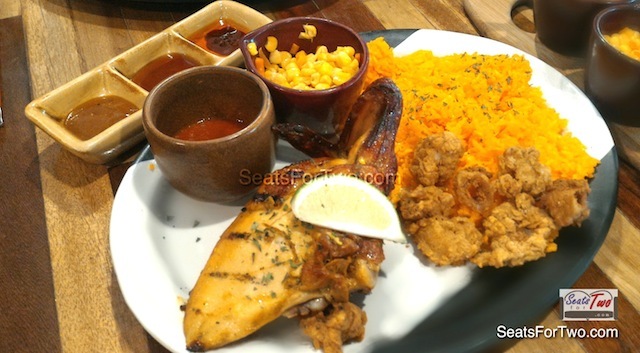 The former was a crispy fired chicken fillet served with mashed potato and gravy – i love the bread crumbs they use. 🙂 The latter is composed of 1/4 Peri-Peri chicken plus 2 sides (P205). The Peri-Peri Charcoal Chicken was grilled just right and you can taste the hint of marinade blend of various herbs and spices they use. Add to that their Peri-Peri signature sauces. 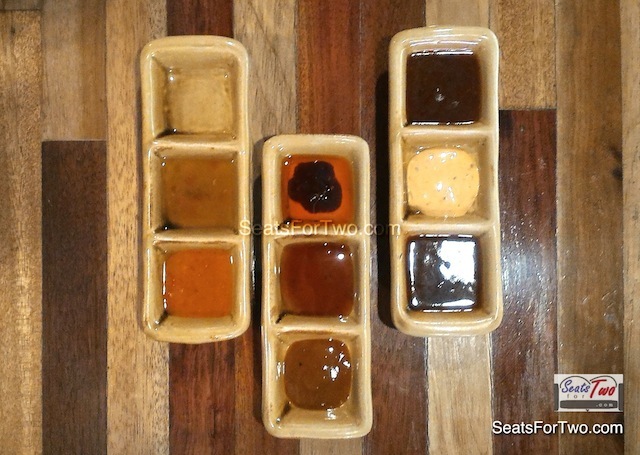 We never know Peri-Peri had so much signature sauces – as much as 8! It was only then we knew about them. 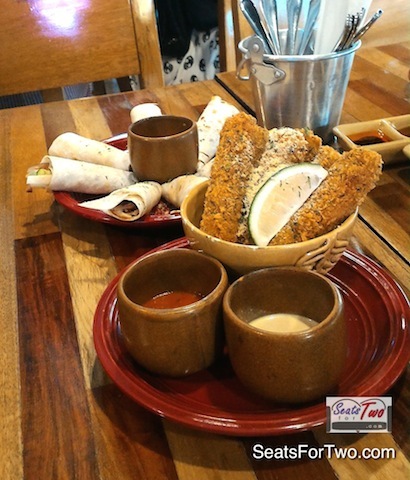 Among the eight, Seats For Two‘s favorite is the GARLIC BREW since it’s garlicky and only mildly spicy. 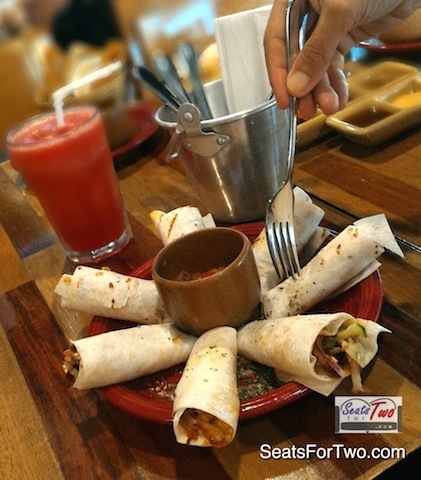 Instead, we tried one of their fruit-shakes – the watermelon – which was surprisingly affordable at only P65 compared to other restaurants in the same level of Peri-Peri. 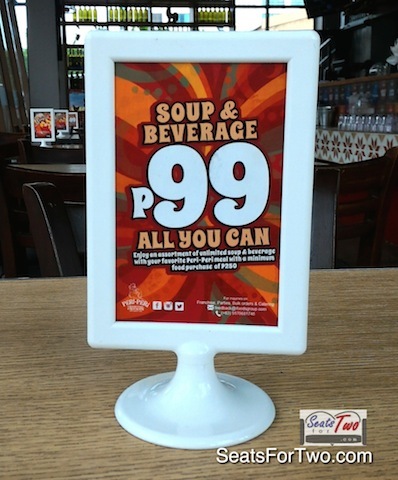 P99 Soup & Beverage All-You-Can! But I think the highlight of our lunch was the special privilege to try their newest and upcoming “PeriChon” wrap which we will feature in another article soon. 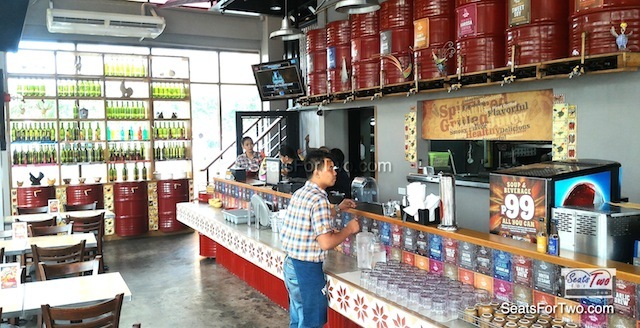 Peri-Peri Charcoal Chicken restaurant also has branches in SM City North Annex, Robinson’s Bacolod, and its very first international franchise store in Yangon Myanmar which opened September 2015. 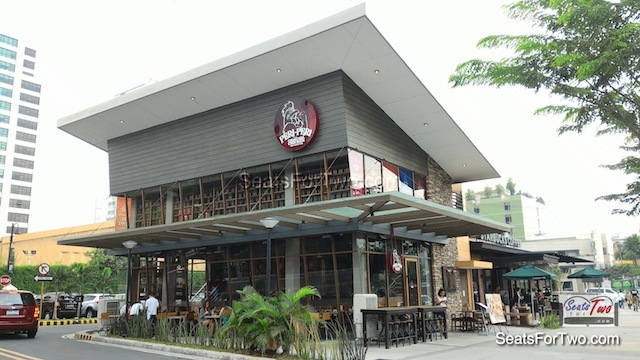 They will open soon as well at SM Megamall, Nuvali Solenad, and Eastwood City. 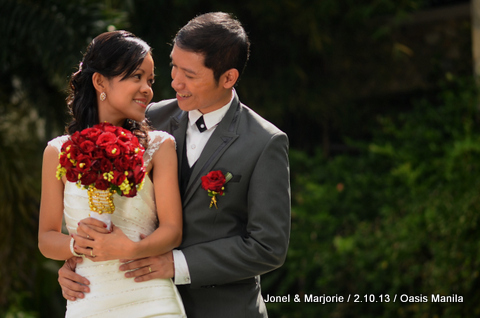 More are to be expected in the next 3 years, both in the Philippines and SouthEast Asia. 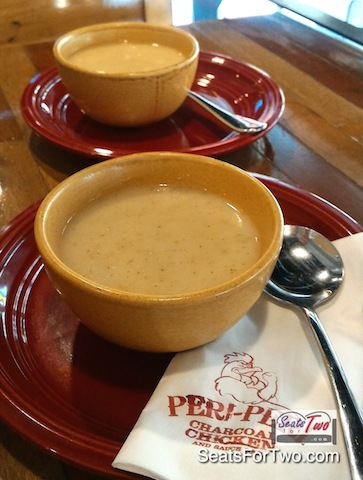 Have you dined at Peri-Peri Charcoal Chicken lately? Which branch was it? What are your thoughts on their new and improved look and new menu? i love this branch of Peri-peri in capitol commons!